The Zanussi cooking range is full of ways to make it easy to cook a delicious meal, whether it’s just for you or for friends and family. So you have more time to sit back and relax, it’s the easy choice to make. 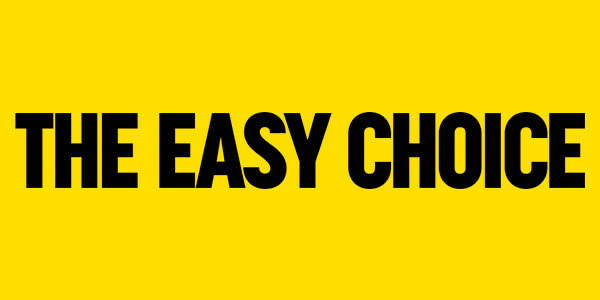 At Zanussi, we’ve designed the cooling range to be even more helpful, from making it easier to store your food to keeping your food fresher for longer, it’s the easy choice to make. Zanussi dishwashers make it really easy to get your dishes sparkling clean in no time. Quick Wash takes just 30 minutes, and the Auto Programme does all the thinking for you. Even selecting the temperature, time and the right amount of water, saving you energy. Don’t let washing up get in the way, it’s the easy choice to make. Zanussi laundry appliances are loaded with large capacity, easy and quick programmes to save you time, while consuming less resources. When it comes to washing your clothes, it’s the easy choice to make.